Last season's biggest journalistic scoop was clearly Sir Alex Ferguson's departure and the arrival of David Moyes, formerly of Everton. Moyes was handed a six-year contract as a sign that any poor results that might surface as a result of the changing of the guard would not do him any harm. Things were done differently at Manchester United, or so the saying went. As the season went on, both top management and supporters showed huge constraint by not sacking the manager or booing him - the odd fly-by incident notwithstanding. United were adamant that the Ferguson-backed Scot was there for the long haul and that that wasn't the first hard spell they had endured. A squad that had comfortably won the Premier League the year before suddenly looked like a withering set of players not good enough for a better standing that 7th. Adding insult to injury, the team's displays never seemed to improve. The manager's tactical grande scheme seemed to be to replicate what had previously worked at Everton, i.e. defending compactly, attacking down the wings and crossing the ball into the box. For a club of Manchester United's stature, it was clearly not enough and Moyes didn't even make it to the league's final round. So much for the "being different" credo. Back in Porto, the Dragons were making history of their own by parting ways with the man that had brought them one of the best, hardest, most satisfying titles in the club's history - a victory over Benfica at the Dragão with a 92nd minute-goal on the 29th of 30 rounds when, just two weeks earlier, FC Porto trailed their arch-rivals by 5 points. 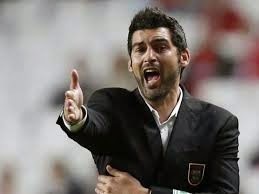 Vítor Pereira would be replaced by Paulo Fonseca, a young tyro that had excelled at Paços de Ferreira and led them to a Champions League playoff berth. As it turns out, the story that was unfolding at United virtually repeated itself in Portugal. Fonseca was never able to dominate the dressing room (contrary to usual proceedings, rumours flew about with the greatest of ease) and the tactics he tried to implement were baffling. More proactive than Moyes, Fonseca insisted that the team attack relentlessly, but apparently without any order or collective ideas. The poor results came pouring in and a 3rd-place finish was all FC Porto could muster. Like at United, however, the club were doing everything they could to preserve their image of moral leaders, twice declining Fonseca's request to resign. The third time would be the charm, however. 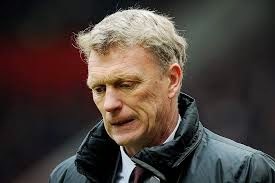 The results certainly didn't help, but, like Moyes, it was the evident inability to steer things in the right direction and take centre stage as the emotional leader that was Fonseca's undoing. For this season, both FC Porto and Manchester United seem once again to go hand in hand. The Red Devils seemingly threw away the notion of everlasting continuity and hired Louis Van Gaal, a tried and tested victor that will, on one hand, certainly bring much-needed order to the dressing room. On the other hand, the Dutch is one of the most revered coaches as far as tactics are concerned and bears the knowledge and ability to create drills that allow players to imbibe his ideas. An European-style coach is considered to be the way forward. As far as the Dragons are concerned, the chosen coach was Julen Lopetegui, the former leader of Spain's U21 team. Club president Pinto da Costa wanted someone who had clear ideas on how to move forward, based on a possession-based brand of football. Even though Lopetegui's career includes precious little experience at club level, his results and work methods have clearly impressed those around him. As it turns out, both Manchester United and FC Porto will be relying on managers who are willing to bet on young players, who are on the cutting edge of the game (at least in tactical terms) and who are direct heirs to the notions of Total Football/tiki-taka - two concepts that are often blended and blurred. The clubs have also opened their cheque books as if to vindicate their respective managerial bets by any means necessary, as the signings of Luke Shaw and Ander Herrera on United's side and Adrían, Óliver Torres and Bruno Martins Indi on FC Porto's side have confirmed. In conclusion, it remains to be seen whether the fates of Manchester United and FC Porto will go on hand in hand and whether the huge investments made are really the thing that lacked from Moyes and Fonseca's time at the helm. On the other hand, the arrival of a Dutch and a Spanish coach brings some curiosity as far as the results of both sides are concerned, at a time at a time where possession-based football looks like a concept from the past. Will it be a case of too much too late? Man Utd beat Galaxy 7-0, with a dutch coach using a 3-5-2 system. As you noted, the favoured system in England is the 4-4-2. Do you think another foreign coach, with yet a different system, might have an impact in the premier League?